The beauty of doors is that they have the ability to set the tone of the room they are in. Security doors offer a sense of safety, fire doors are the sleeping protectors, nothing extra-ordinary, just waiting for the chance to save lives. The classic wooden door offers us timeless appearance with intricate grain patterns and color markings. 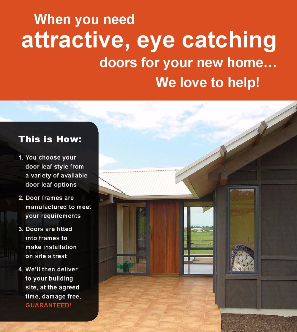 Choose your door today, browse our selection and contact us with any questions. Because doors are a highly visible and hard working part of a home, they deserve thoughtful attention when it comes time to buying new ones. Our doors fulfil every requirement and taste. A superb door range to personalise your next new home project. 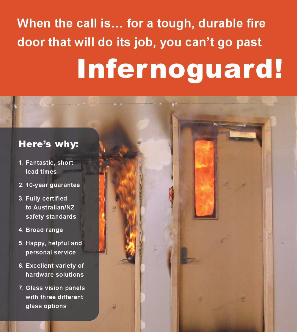 Infernoguard doorsets are built to meet your needs. 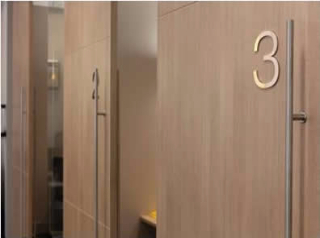 Tough and robust, these fire resistant doors are designed to meet the current Australia & New Zealand fire door standard as required by the building code. 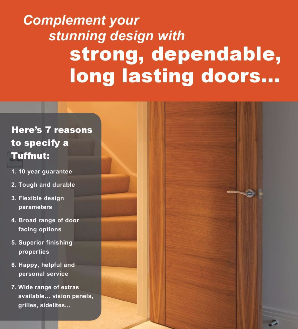 Tuffnut solid core doors are guaranteed to live up to their name. Built to endure the rough and tumble of everyday life, these doors will be the only choice for your next commercial project.